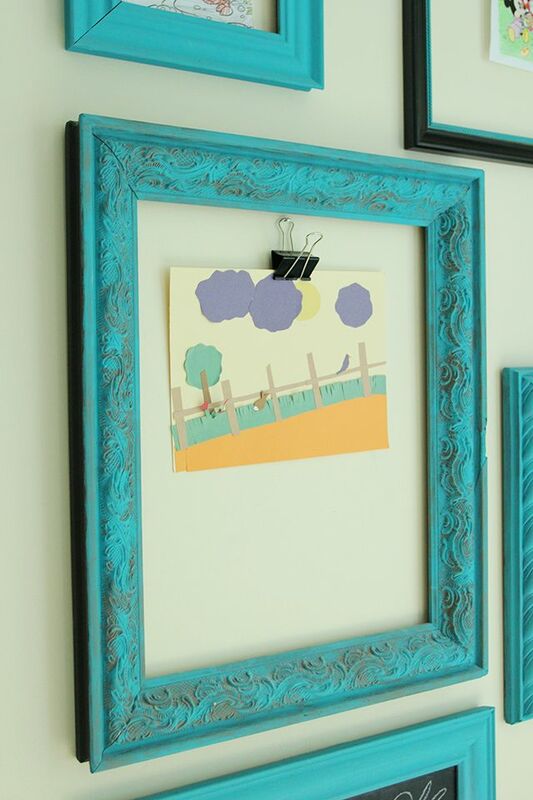 Out of hundreds of projects and posts I’ve shared here through the years since I started this blog, our kids’ art gallery wall has been one of the most pinned and most popular. My younger two girls still display their artwork here on a regular basis, and it continues to be one of my favorite elements in our craft room. I shared this recently when I guest-posted at 11 Magnolia Lane, andin case you missed that, I’m sharing it here today. School is officially in session pretty much everywhere in the country by now and if you’re like us, you’ve got little papers and masterpieces flooding in every day. If you’re not quite sure what to do with them, you might want to try this idea! 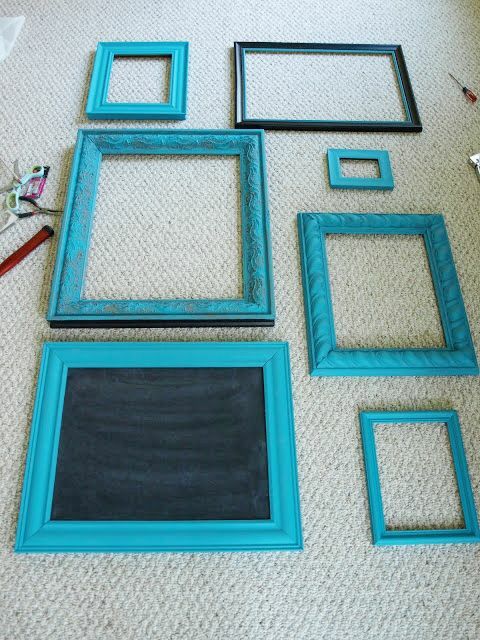 I was able to find a score of various types of frames in the Hobby Lobby clearance aisle, and I just used some turquoise craft paint to give them a little charm. Then I added some saw-tooth hangers on the backs of the frames, arranged them in a pattern I liked, and hung them on the wall! I even used some thin particle board, painted and placed in one of the frames, to make a chalkboard. 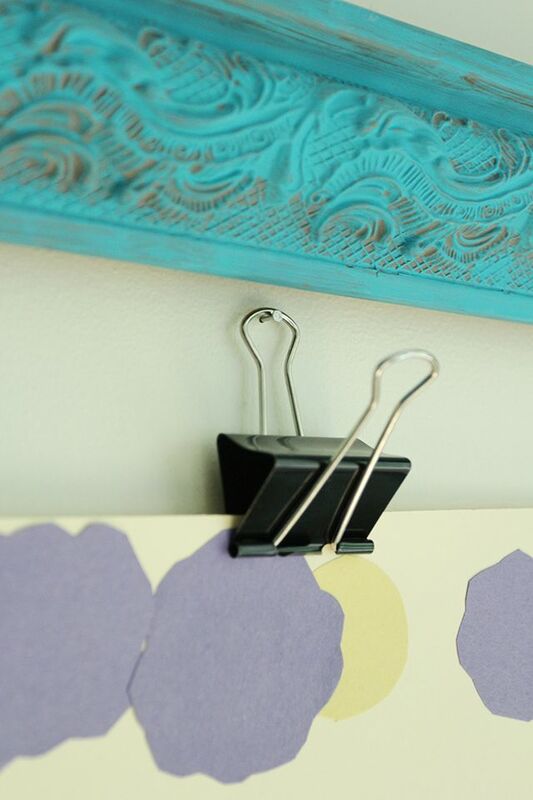 A basic pinch clip hung on a nail inside the frame is perfect for holding the art. This system has worked so well for us for the past few years. Anytime my younger girls bring home special projects, I tell them to choose their favorites and hang them on the art wall. This way we don’t feel bad about not keeping every little paper that comes home, and everyone is happy. They love seeing their art on display in the house, and we switch it out often to highlight new pieces! 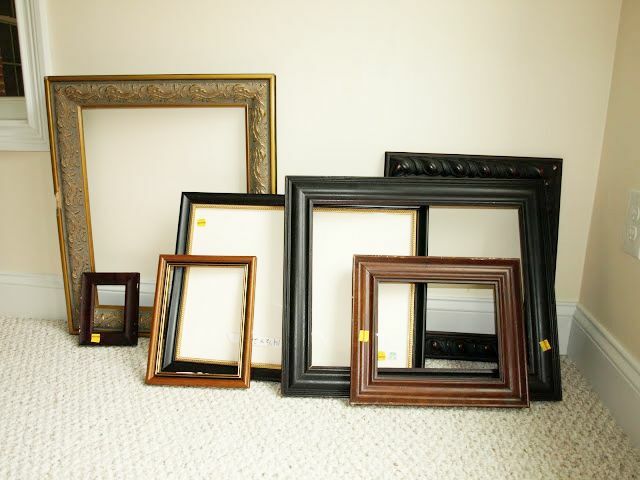 And the wall looks cute even if some of the frames are empty. 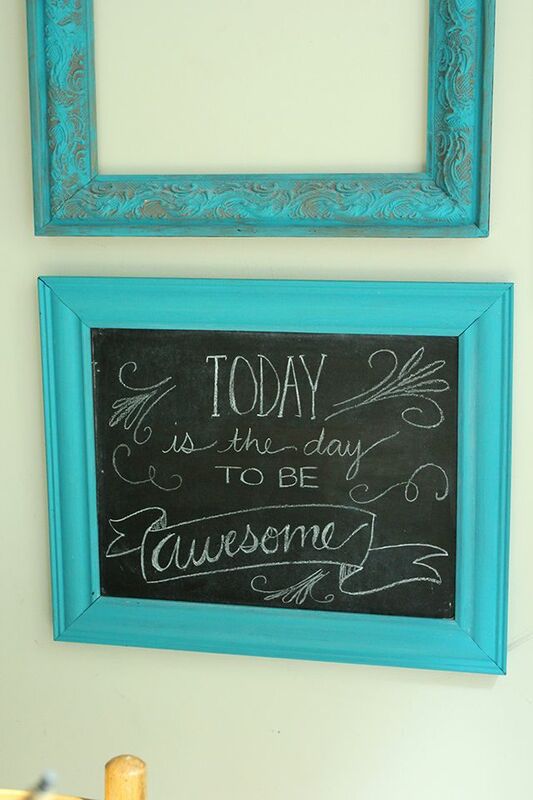 So, let them be awesome! But, be organized, too. Hope your school year has gotten off to a great start! 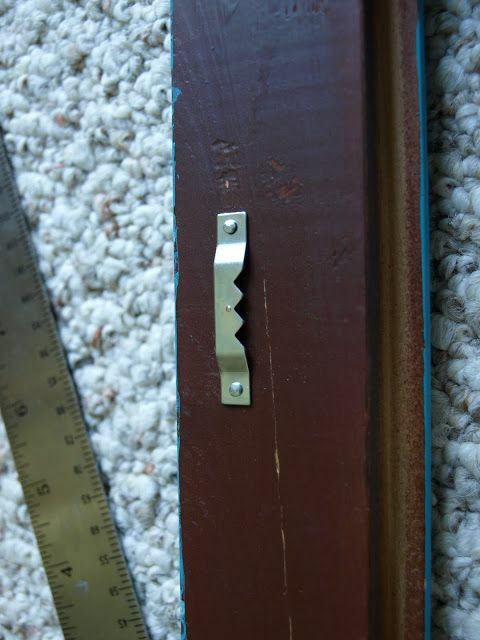 If you’d like to see a couple more back-to-school projects, visit the links to my blog below. This entry was posted in Uncategorized and tagged Craft Room, Gallery Walls, Kids, Organization. Bookmark the permalink. Follow any comments here with the RSS feed for this post. Post a comment or leave a trackback: Trackback URL. Great! So glad you like it, Suzanne! 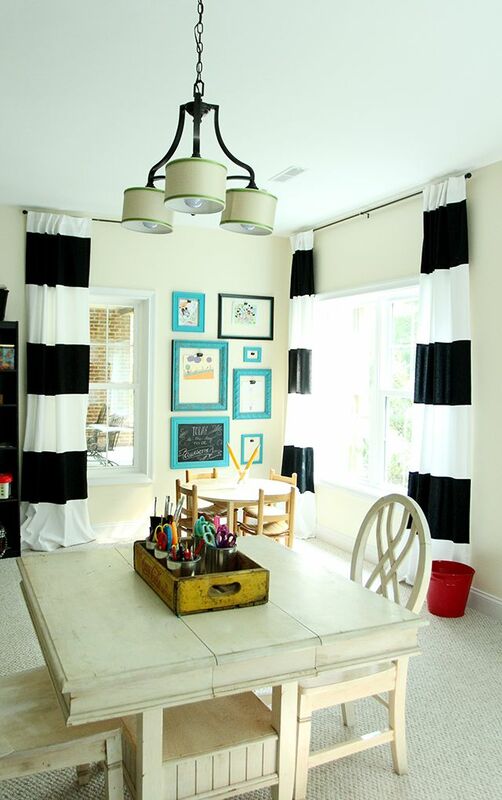 I loved this idea when you shared it at 11 Magnolia Lane for our readers, and I love it now. 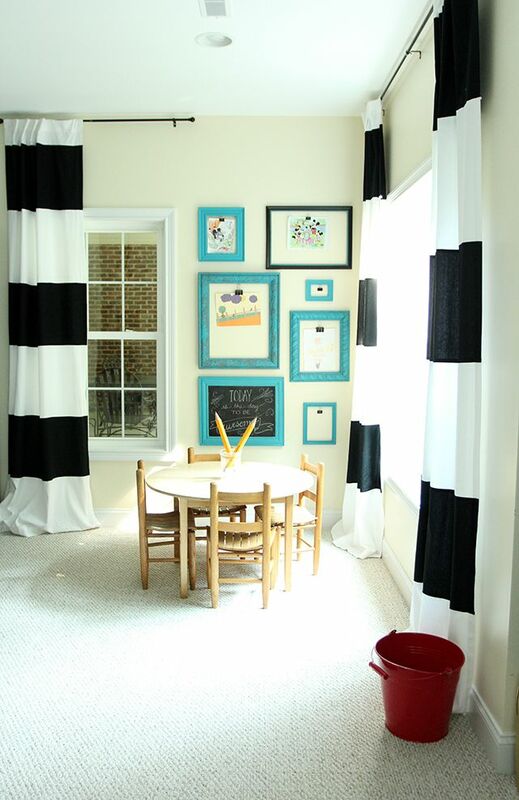 Great use of color and so very fun, Julie! 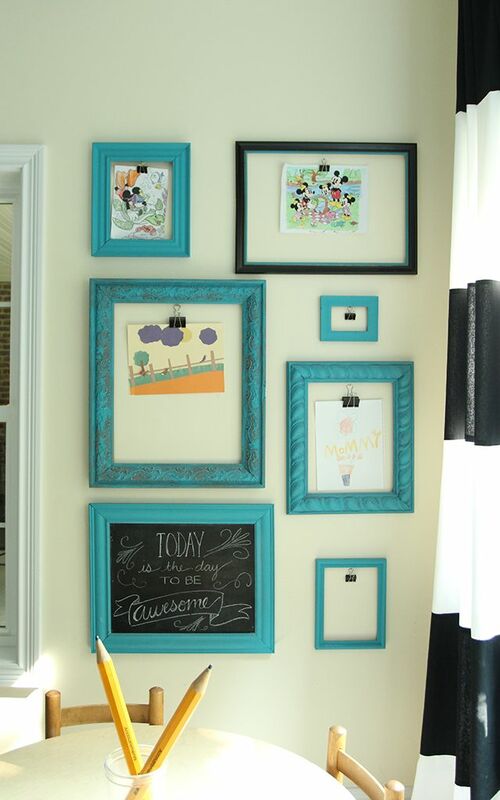 Great idea and lucky you for having a craft room. Yes, it's a well-loved space!